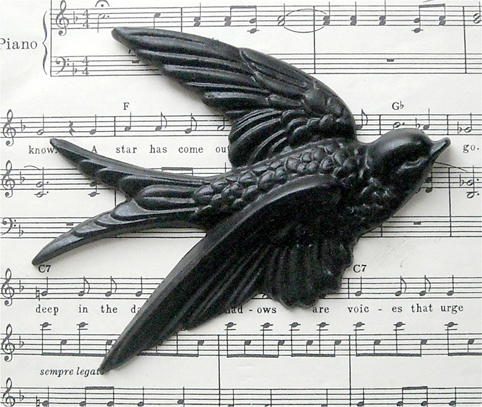 Today is day 3 of The Painted Blackbird's 12 days of giveaways and the object today is one of my little black swallows. Normally I make these swallows in rainbow colours, like the blue one below, but seeing that it is The Painted Blackbird giveaway I thought black was the right call. 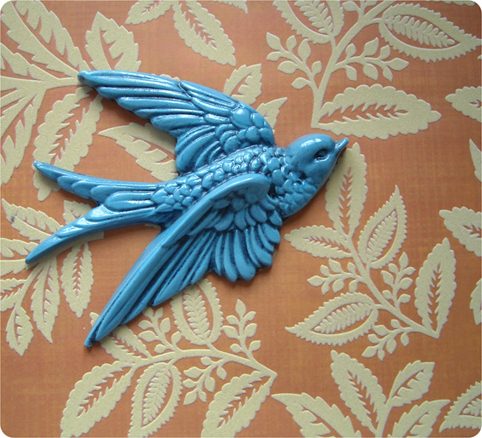 This little guy is molded from the largest swallow in a set of vintage brass plaques I found. I cant seem to find much information about their maker, or exactly when they were produced. Some sites say they are Art Deco, others say they are Victorian. You can buy the originals on ebay, Etsy and Gumtree. I just thought they needed to be remade in other colours. They are cast in a material called Jesmonite which is like a mix between resin and plaster. I add the coloured pigment to the material when casting.